During my initial review of the American Made C39 Centurion rifle, I asserted that the AK-47 may be one of the best deer and hog rifles around. If we look at the ballistics of the infamous Russian AK-47 7.62x39 round, we see that its energy and trajectory look just a bit better than the more famous deer cartridge ever; the 30-30 and better ballistics than the very popular 300 Blackout, why indeed would anyone not not consider the most dependable rifle design in the world as a fine deer, hog, or scout rifle. The problem of course is that the AK-47 has an image issue as firearm of thugs, warlords, and communists. 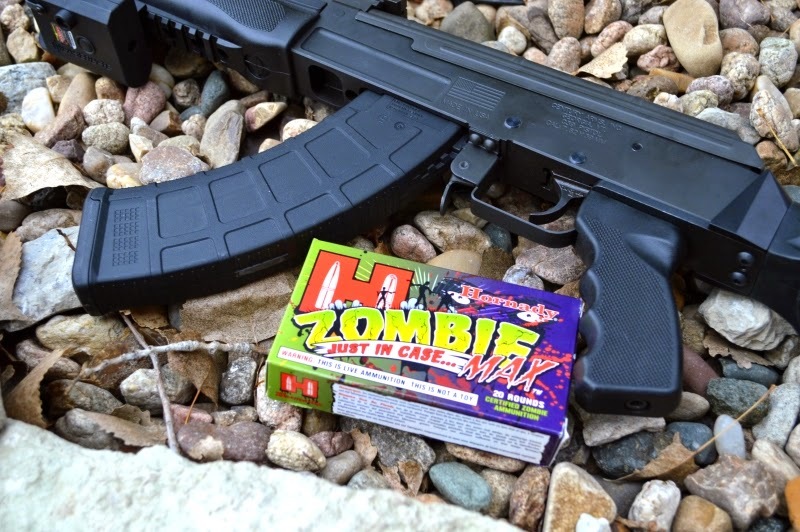 The new 100% American Made AK-47 may change your mind about what an AK-47 could deliver to your next whitetail and hog hunt and the pistol version may open up even more hunting doors seasonally and its size will get you in and out of ATVs faster if you are running down hogs. During the early 1990s shower of $99 Chinese AK-47s, I decided to pass when they hit the shelves at my local dealer. I wanted an AK-47 but there were a few details holding me back such fit and finish. A friend had a $99 AK and although 100% reliable, it was a total piece of crap from a craftsmanship perspective and felt like something made from junkyard parts. “Fit and Finish” of many affordable AK-47s presented to me over the years have also lacked the quality to gain my attention. They also lacked and omitted some obvious modern refinements which could have made the AK more comfortable and easier to shoot and accessorize as needed. Then of course if you buy an imported AK-47 you also have worry to assure you are compliant with the magic ten imported parts of the ambiguous Title 18 Chapter 44 Section 922R code for imported firearms. Continuing my search for an American made AK-47 seemed like the better option for a gun which may be called into service as a defensive gun. US made AK-47s are not uncommon however they typically offered little more than cheap imports. Century Arms must have heard my thoughts and developed an upgraded, updated, affordable, and 100% American Made quality AK-47. I love that freaking rifle and have upgraded and updated it to fit my needs. Last year, Century introduced the C39 American Made AK-47 Pistol which features all the same quality of the original C39 rifle but in pistol form. With a Century’s own SB47 Arm Brace attached, the C39 Pistol becomes a realistic hunting tool when a smaller size is required while maintaining a high rifle caliber power factor. AK-47s are generally known for reliability but not looks. The only beauty in the beast is that the design permits, shall we say, a large margin of error is manufacturing tolerances without affecting reliability. Usually this slop manifests itself in a fit often tuned with pliers. The Century Arms Centurion Sporter was a giant leap for AK owners with one of the most well crafted and fit AK-47s I have yet to handle. Definitely a far cry from the garage sale parts assembled quality and fit of most AK-47s. Century Arms has made a reputation for quality AKs and the American Centurion rifle was made at even a higher grade than their other AK-47s in the line that I have sampled... must be the 100% US manufacturing. Obviously the C39 Pistol has all these great traits of the rifle. At the heart of the C39 series is a 4140 machined ordinance steel receiver. The Century Arms Centurion 39 Pistol has a much more solid feel than any of its stamped steel receiver brethren. While shooting the Centurion, it also feels more solid instead of the typical shoot’n wiggle flexing most stamped steel AK-47 suffer from. With the fit and feel, solid milled steel billet receiver, and nicely blued parts throughout the Century Arms Centurion model feels supremely more solid and of higher quality than any other AK-47s I have shot. The Century Arms Centurion 39 Pistol features a number of upgrades, updates, and changes to what we think of as an AK-47. The C39 Pistol features a shorter 11.5” barrel with a removable A2 style compensator to reduce recoil. 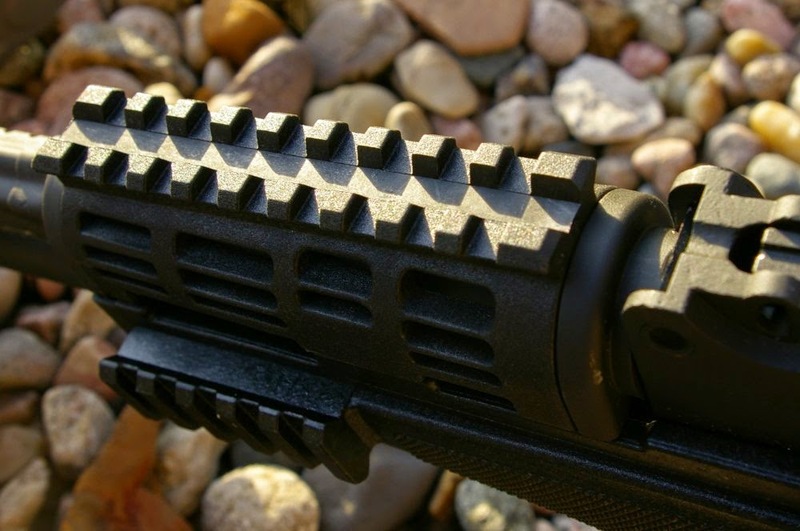 Ergonomics are upgraded with comfortable polymer grip, and a quad rail picatinny forend. 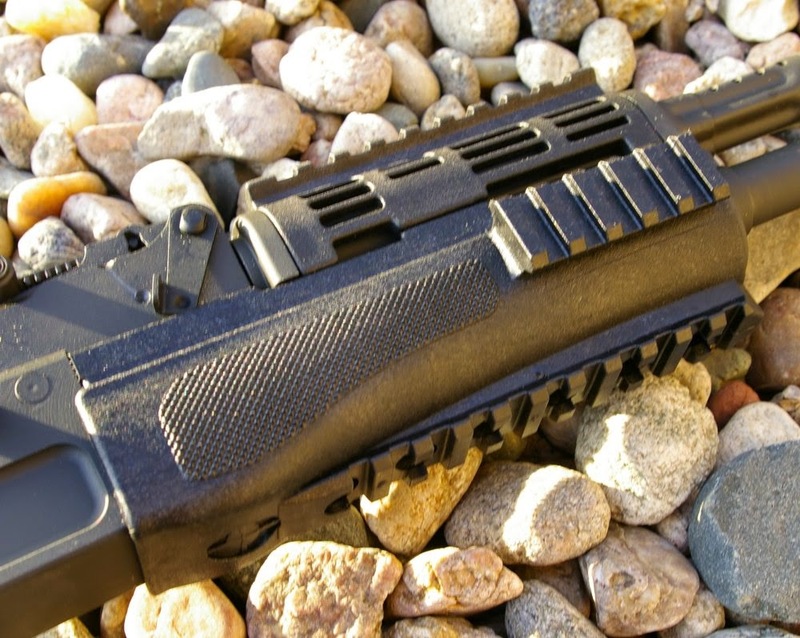 The updated polymer quad-rail forend provides easy mounting, finally, of the accessories the "modern warfighter", hunter and shooter wants/needs. You have 3, 6,9, and 12 o’clock Picatinny rails for attachment of bipods, lasers, lights, red dots, and scopes all in a very secure stable forend. I mounted a tested a LaserLyte Center Mass Laser which is an outstanding “shoot from the hip” plinking and potentially defensive option for the C39 without a stabilizing brace attached. I will note that I broke my polymer forend on my C39 rifle, so I would expect to upgrade the forend at some point on this pistol. The front sight on this pistol version is fixed while the Centurion’s rear sight are fully windage and elevation adjustable up to 800 yards. This is a little different as the original AK handled windage zeroing duties up front. 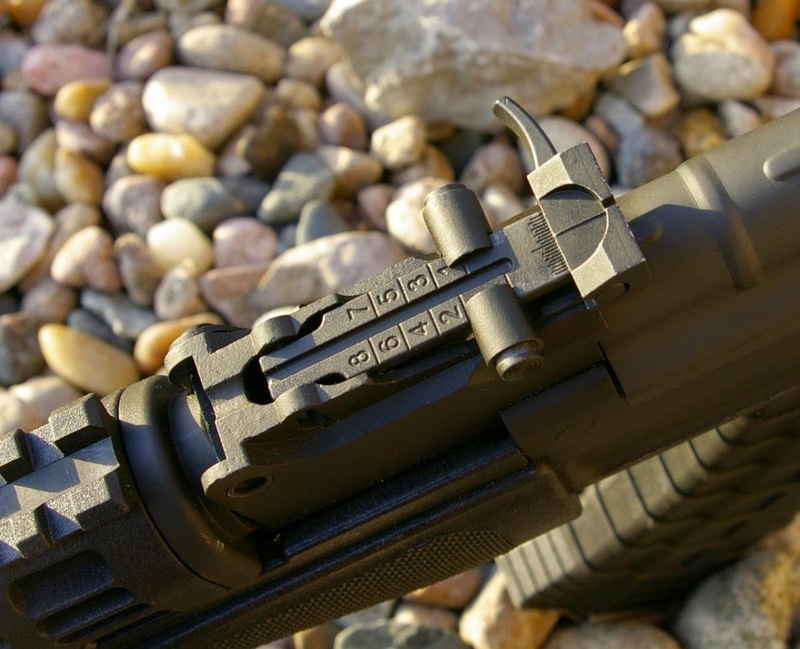 The Centurion C39 Pistol's rear sight is windage adjustable via a set screw which allows drifting of the rear sight. If you are set on not upgrading to a SB47 brace then you should consider a LaserLyte Center Mass Green laser. It delivers a graduating dot funnel which it perfect for a pistol which will likely be hip fired. The compensating brake featured on the rifle was replaced with a standard AK47 threaded A2 birdcage flash hider. I later upgraded this to a PWS FSC version which greatly reduced recoil of this snappy little pistol package. 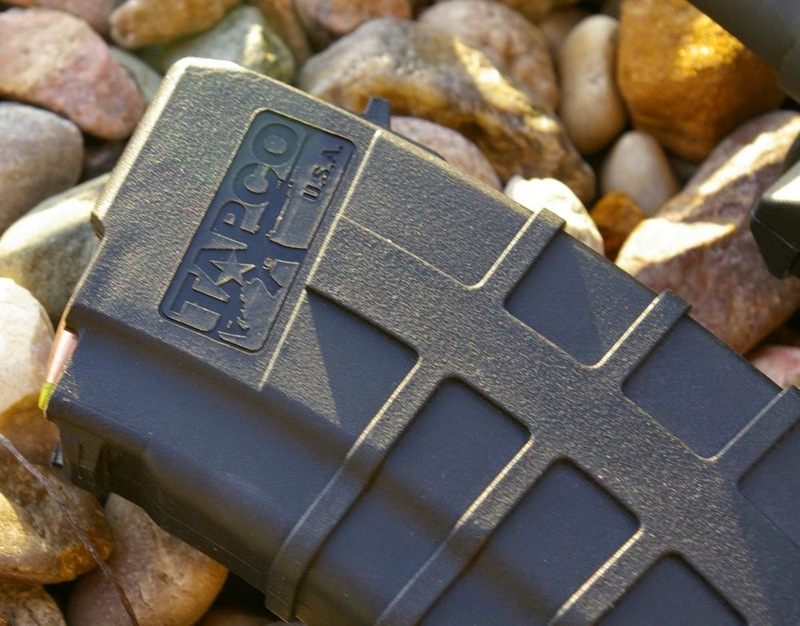 Another nice touchs were the inclusion of two very high quality US Made TAPCO 30 rounds magazines and a soft sided carry case. 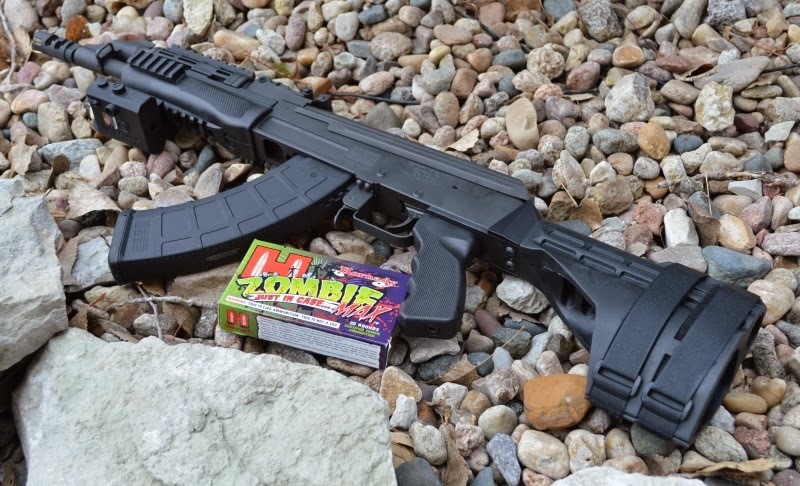 Generally extra magazines like the proven polymer TAPCO mags are first on a buyers upgrade list after walking out of the store and starting with two quality mags in the first place is a step in the right direction on an upgraded AK. Beyond its very prominent Made in America and American flag labeling, the most significant upgrade on the Centurion 39 Sporter is the billet 4140 receiver which significantly increases the core strength and accuracy of this AK-47. 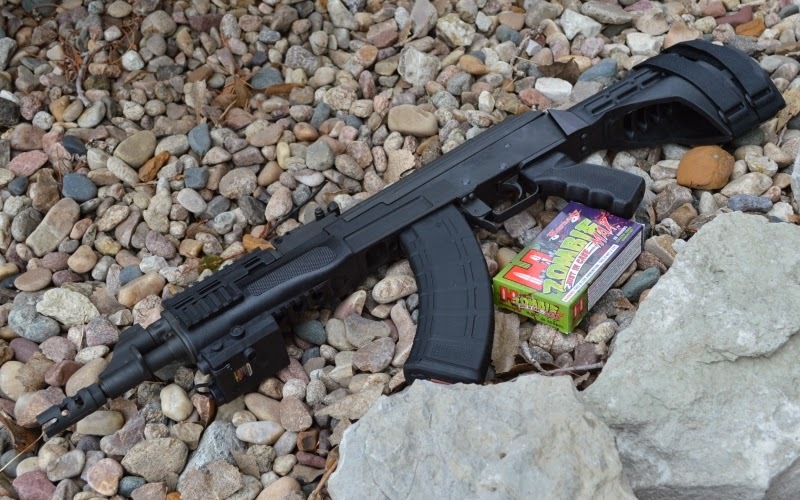 As would be expected of even the most cheaply assembled AK-47s, this high end Century Arms Centurion 39 Sporter was perfectly reliable any ammo feeding through the included TAPCO, and a few standard steel magazines I had laying around. Just as it really did not matter what I feed into the Century Arms Centurion 39 Sporter rifle, I had zero problems with the C39 Pistol; and those gloriously famous tapered 7.62x39 shells just kept feeding and firing with perfection. I personally found the C39 Pistol a blast to shoot, but unless I was shooting off the bench, it was pretty abusive even when held at the hip with both hands. I would probably suggest a more ergonomic grip and a SB47 is a must. Without a SB47, a weapon mounted laser is about the only practice way to shoot the C39 pistol and hit what you are aiming at. 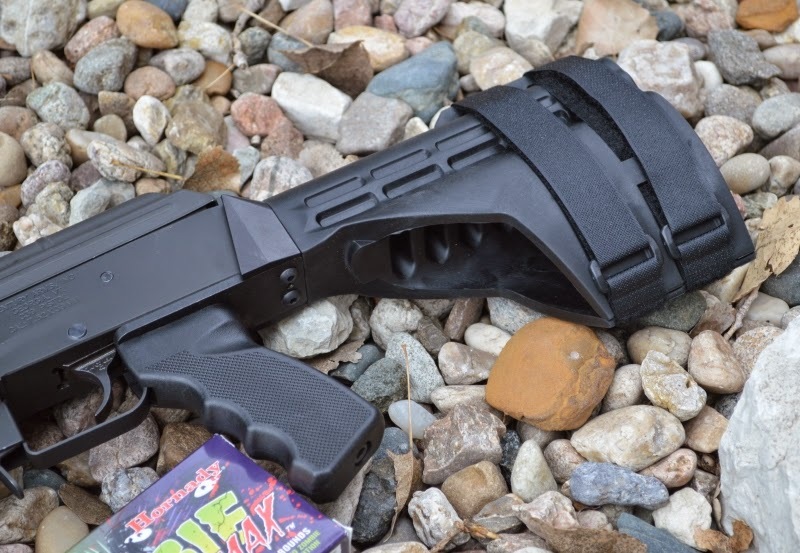 Although AK47 pistols are cool, however they deliver little in the way of practicality from my perspective outside of a really fun time… that is until you add a SB47 Stabilizing brace. The really interesting thing about any of the Sig Brace options is that ATF has made the critical determinations that adding a Sig Brace does not change the classification of the pistol, the Sig Brace is not considered a stock, though it looks like they have made a rather vague statement regarding the intended use of the Sig Brace. Their initial ruling opened up many of the disabled or weaker people who were unable to properly aim a pistol to be able to do so via the “arm cuff” which could be secured to the forearm. That noted, it has been widely noted that people do not always follow the intent of the design and have used the brace differently. I will not get into my style of use of the SB47 brace, however lets just say it allows me to easily and accurately shoot the C39 Pistol. Actually in this case the SB47 brace transforms the Century C39 Pistol from a fun gun to a practical and accurate firearm. Of note the SB47 differs from the SB15 (AR15 version) in that a mounting assembly is part of the SB47. Simply loosen the grip screw on the C39 Pistol, slip the steel tongues under the grip and re-tighten the grip. My expectations were not especially high and without the SB47 brace however I did manage 2”-3” groups at 25 yards. But after installing the SB47, my best group significantly improved with Hornady Zombie Max ammo delivering the best groups. With the regular $6 a box Herters/Tula/Wolf ammo I saw around 4”-5” groups at 100 yards off the rest with open sights. However with the Hornady rounds my best group was around 2” with most in the 3” range at 100 yards. The Pistol did deliver a bit of a bump up in group size from the full length rifle, but not too much. With a red dot or low magnification optic, I could see those groups easily improving. Add up all the upgrades, great fit and finish, and the 100% American made quality and Century Arms has delivered an excellent handling high value AK-47 pistol package with the features we are all wanting. I would greatly encourage Century to just go ahead and offer another model option with the C39 Pistol complete with the SB47 brace. This C39 Pistol and SB47 combo setup is a highly durable and one heck of a fun little gun to shoot. My hope is to break this gun in on a hog hunt in 2015. As a stalking gun through heavy brush and woods, this combo would make an excellent deer pistol with a low capacity magazine assuming your state allows rifle caliber pistol hunting. Upgrades so far were the SB47 pistol stabilizing brace and a PWS FSC compensator and testing of a few of Magpul’s new AK47 mags. We as hunters need to start using these great often misunderstood firearms to join us on the hunt. It makes for a great story, a more challenging hunting experience and will definitely puts a different image on a this great rifle. Finally a AK that looks good, feels good, shots well, and is even American made, I think Century Arms has a winner to become another great american hunting pistol.